When was it that you first felt old? When did you first look back on the five, ten years that have gone by and realise it had disappeared in the rear-view mirror far faster than you had imagined? I know I started to feel old pretty young. I might have been halfway through academy (high school) when I really started to be aware of how quickly everything seemed to be going. Of course it seems a bit daft now, to think you’re old at 13 or 14 is ludicrous, but aging is one of these things that’s relative, unrelenting and always leaves you with a sense of vertigo when you look how far you’ve come. 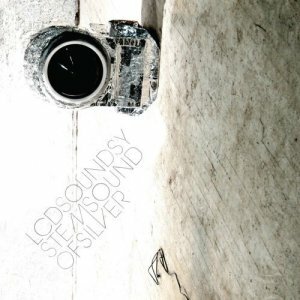 Sound of Silver is James Murphy and LCD Soundsystem’s magnum opus, a testament to a time and a place in Murphy’s life, the music world and society in general where things weren’t quite as they should have been, but things carried on regardless. But just as importantly it’s a hallmark album about growing old and the pains and pleasures that come with it, and no matter what age you are and where on the journey of aging you are, the 9 songs packed onto that album will capture the mood better than almost anything else you can imagine. LCD Soundsystem were originally more of a dance band, and their debut album released in 2005 was a double-feature of electronic, just-off-the-club hits that bleeped and blooped impeccably and created a real name and a real style of music that other seek to emulate to this day. And the music captures this realisation that the world around you isn’t quite what you made of it before, and that the places you live, and the people you love aren’t quite the same either. It’s not the same breathless electronic repetition, it takes a slower, more considered approach – and whilst still having it’s dance-punk flavour to it, it’s a much more grown-up album. The songwriting alone makes this happen, as Murphy comes into his own with songs about loss and friendship and wistful reflection that are far beyond what could have been though possible from LCD before. What makes Sound of Silver my favourite album is that by any measure you look at it there’s an excellence to it. Every song on the album is solid, and most of them are some of my favourites around too. The stretch in the middle of “All My Friends”, “Someone Great” and “Us v Them” has to go down as the best stretch of three songs I could possibly imagine appearing in a row. “All My Friends” is the centrepiece of the album, and my favourite song of all time. It’s about going through life and having moments of fun and regret, but all through a lens of years of reflection and wondering “Where are your friends tonight?”. I was all too young when this song hit home, I think, but even now it still strikes painfully true or euphorically true, depending on your mood. It’s a song for all occasions, and it always delivers with its building guitars and drums to a stunning crescendo. “Someone Great” is a song about loss, and the idiosyncrasies that seem so strange as the world continues on even though you think it should stop. Everyone loses someone at some point, and carrying on is hard, but we do it anyway. This song speaks so plainly and understandingly, with it’s chirpy glockenspiel tinkling away through the song even though it speaks to the worst of times, that it’s irresistible. These two songs are classics, ones that will stand the test of time and deserve as much recognition as they can get, but the album is packed full of other fantastic tracks too. The song that got me into LCD, “Get Innocuous!”, is a Daft Punk/Kraftwerk mash-up of sorts that fosters a dark, plodding melody that is still the epitome of building tension and excitement in music to me. Just look at the video below, with each instrument that’s added to the song appearing visually, and tell me that it’s not an impeccable piece of music writing. “North American Scum”, “Watch the Tapes” and “Time to Get Away” are all fun, foot-stomping tunes that break the heavy tone of the album and bring the loud and energetic thrills of LCD’s past records to this one. Each one has its unique charms, and should always bring a smile to your face with their wry lyrics and quirky arrangements. It’s that self-awareness of wanting to go back to your past and relive it, but then realising that it wasn’t so good, that shows Murphy’s skill in making this album – and this title track was a perfect place to show it so plainly. Sound of Silver closes with a moving ballad to the city of New York, one that’s let Murphy done and titles itself as “Bringing (him) Down”. It’s an ode to a modern age, where everyone’s on a mailing list, but where the times aren’t quite as fun, or as dangerously exciting, as they used to be. It’s that lasting note, coupled with all the other songs, that resonates when you hear the whole album together. It’s message of dour reflection on life gone by, and the good times and bad that come with it, is something that always inspires me. Even though things can go wrong, right, spectacularly wrong, brilliantly right, there’s always more to life ahead – and there’s always going to be another moment where you look back and think about all the stuff you did since the last time you glanced back.